Wheatgrass is a young grass that can be easily grown at home. It is a nutrient-dense food that can make a healthy juice for any dietary plan. Wheat grass is a rich source of several B Vitamins, many essential amino acids, Iron, magnesium and chlorophyll. 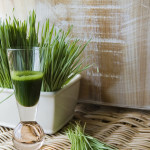 The discovery of Wheatgrass as a powerful health nutrient was popularized by Dr. Ann Wigmore, a Boston-based physician who began using wheat grass in the 1950’s for her own well being. From her experiences, she created the “Living Foods Lifestyle” which incorporates organic, raw foods, including wheat grass, into a program for overall health. One her of her many claims about Wheatgrass juice was that it could fight tumors without the toxicity of drugs. Dr Wigmore suggested drinking a few small glasses of fresh wheat grass juice throughout the day. One of the main benefits of consuming wheatgrass is its potent source of chlorophyll, the phytonutrient that gives plants their green pigment. Chlorophyll is an antioxidant which can help the immune system fight cell damage from free radicals that can lead to cancerous tumors. Even though wheat grass is a super rich nutrient, there is little evidence currently that shows its efficiency specifically for cancer protection. 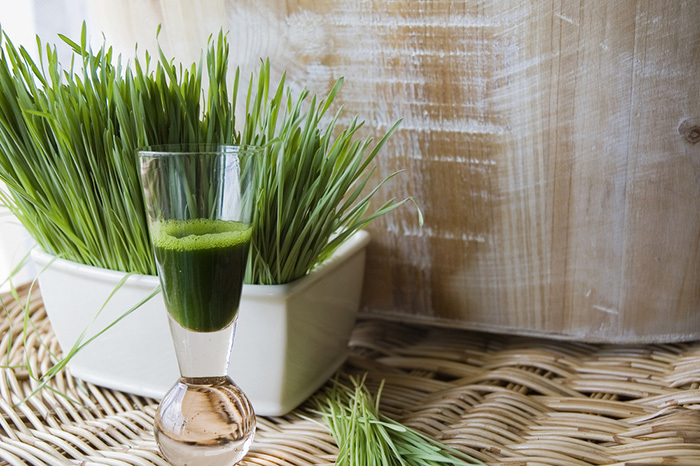 Because of its iron content however, wheat grass juice may help counter one of the side effects of chemotherapy drugs. In a 2007 study published in the journal “Nutrition and Cancer” , it was found that 60cc of wheat grass juice administered to breast cancer patients during the first three round of chemotherapy helped reduce haematological toxicity, thus preventing anemia (red blood cells or concentrations of haemoglobin are low) without decreasing the effectiveness of the anticancer drugs. Nutritionists recommend a diet of whole, nutrient-dense foods for people undergoing cancer treatment of seeking protection from cancer recurrence, wheat grass juice may be a healthy addition to this type of diet. We advise you to consult your doctor first about the use of wheat grass juice in conjunction with cancer treatment due to certain side effects.